Calling all horse owners and lovers! 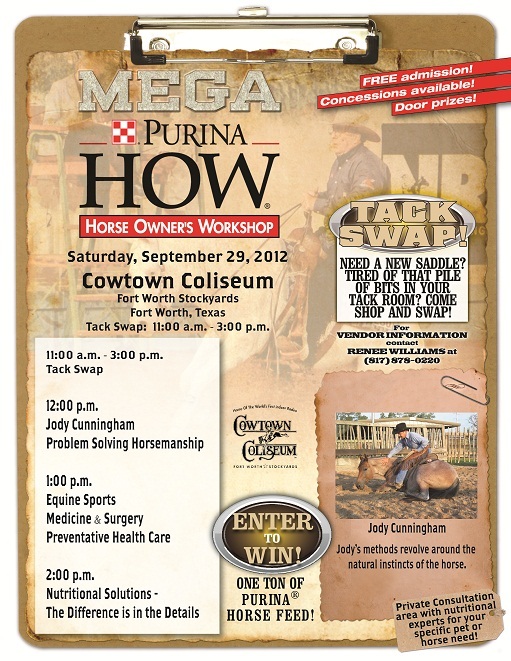 Join Purina for their Horse Owner’s Workshop on September 29th at the Cowtown Coliseum! You can’t pass up FREE Admission! This entry was posted on Wednesday, July 25th, 2012 at 7:12 pm	and is filed under Events, News & Updates. You can follow any responses to this entry through the RSS 2.0 feed. Both comments and pings are currently closed.